I have no idea what spider this could be and am submitting the photo in the hopes that someone can ID it for me. 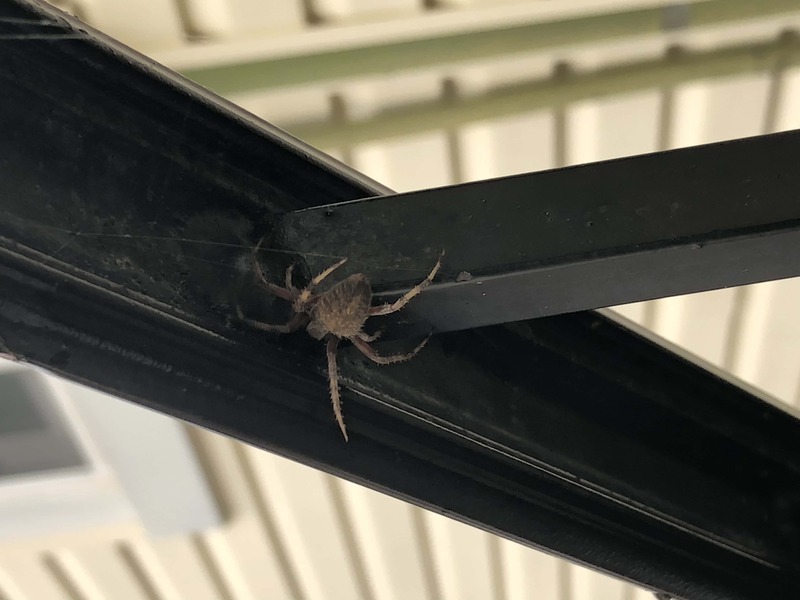 This is the railing from the side door of my driveway and this the first time I’ve ever seen this kind of spider around my house in the 10+yrs I’ve lived here. Hi, I think she’s a Hentz orbweaver, Neoscona crucifera.